As you move up the EgglestonWorks line, the Rosa Signature SE marks the beginning of full-range speakers. Because of this important place in the line, the Rosa Signature is considered a special product. 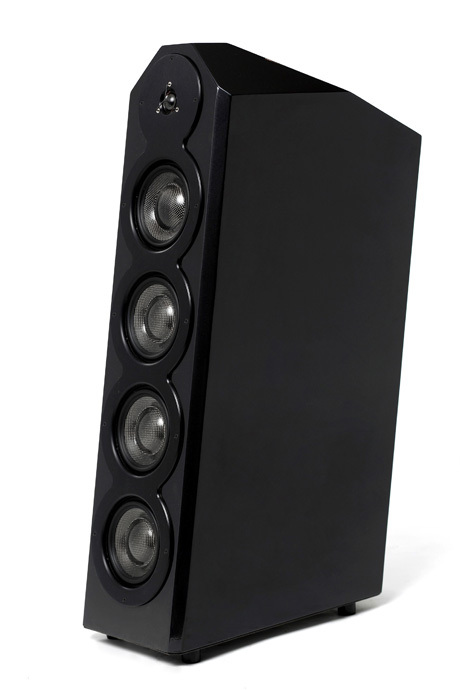 Many consider the Rosa Signature to be the sexiest speaker in the line. With its slender lines and perfectly proportional shape, it is a definite beauty. Behind the beautiful exterior though, the Rosa Signature is a serious performer in areas that are central to the sonic philosophy of EgglestonWorks: accuracy and musicality. The layout of the drivers is straightforward with a single tweeter, followed by dual midrange drivers in individual quasi-transmission line enclosures. The low end is handled by dual 6” drivers mounted in a shared bass-reflex design, with rear-firing dual ports. The Rosa Signature is complete visual and acoustic package that is both beautiful to the eyes and ears in equal measure. These seemingly small changes contribute greatly to already impressive performance as well as fit and finish. EgglestonWorks proudly presents the Rosa Signature Special Edition as the latest in a long tradition of the highest quality loudspeakers.